What could make travel less stressful? 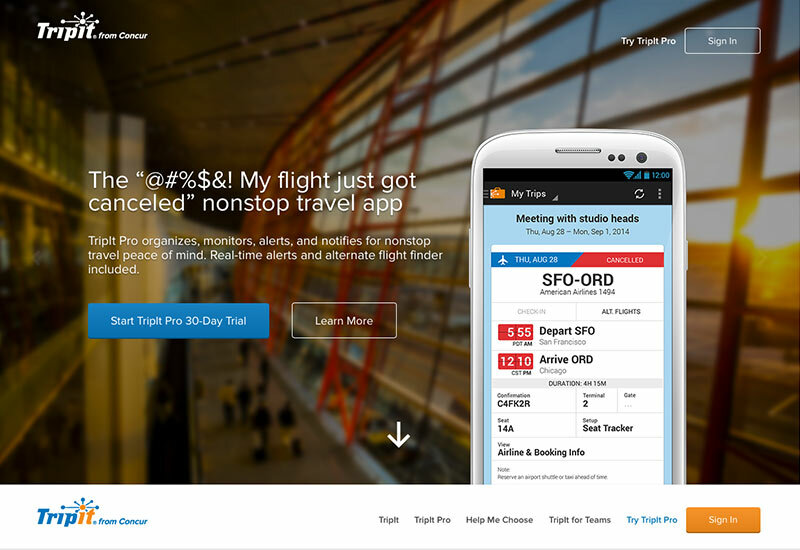 While they can’t control the security lines, shrinking legroom or long delays, TripIt® from Concur is doing a whole lot to decrease your travel stress and increase your joy. This automagical travel organizing app lets you keep track of all your travel plans in one spot—your phone. 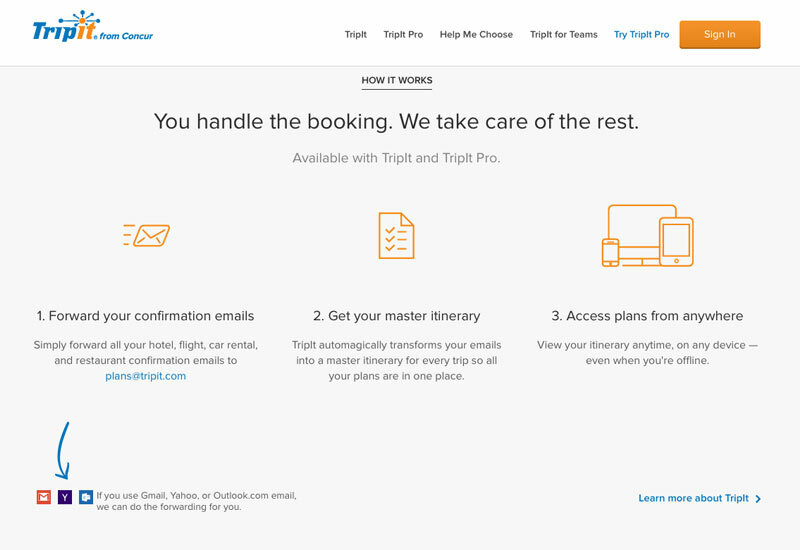 TripIt Pro and TripIt for Teams extend your travel peace of mind even further. 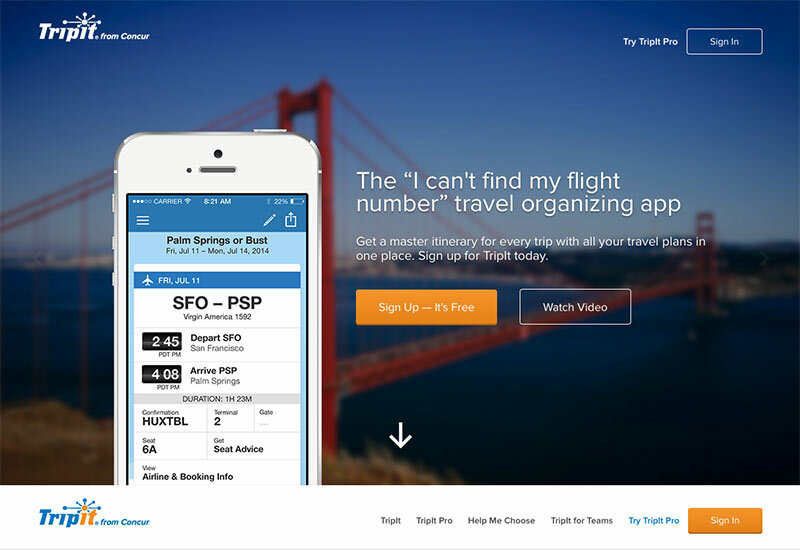 To update TripIt’s marketing efforts, we created messaging platforms to establish positioning, differentiation, and key features and benefits for all of the TripIt properties. Then we turned that strategy into compelling copy for the web, app store, emails, ads, and more. Internally, we created “The It Book” to keep the brand voice consistent across all communications. This entry was posted in WORK by adminimagine. Bookmark the permalink.